Why we talk Maintenance with our customers. This was an article written from Lake Charles.. Why we always recommend maintenance for your vehicle. I want to share a true story from this weekend with you. A couple of friends stopped by my house Sunday around noon, for a quick visit. About an hour later my wife showed me some pictures from Facebook. He was in a wreck. Here's what happened. He has an older truck, and it hasn't been in for service in a while. Something in the “steering” gave out, sending him out of control. 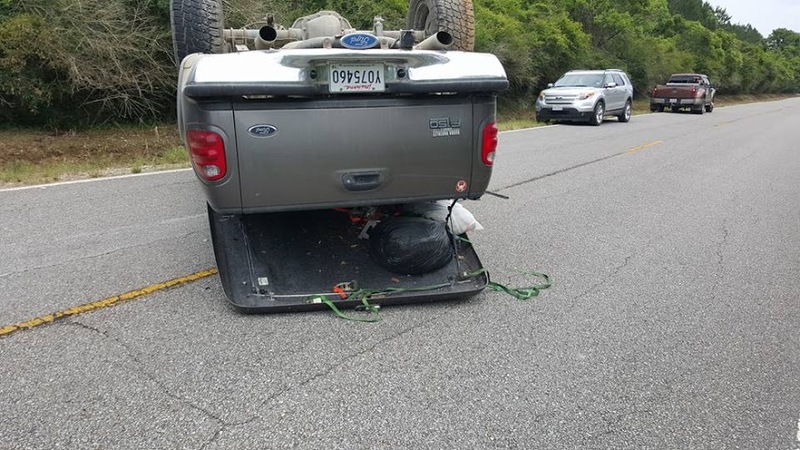 His truck ran off the road, and when he tried to correct, the truck flipped. His wife was in the vehicle in front of him, and watched in horror through her rear view mirror. His truck is totaled, but he is OK. A little sore, but no major injuries. This is something to think about when a repair shop tells you that you have repairs needed on your vehicle. We are not trying to take your money, we are trying to keep you and your family safe. I know some repairs are expensive. But, how much is your family's safety worth to you?